The attorney general of the U.S. Virgin Islands is targeting dozens of conservative and libertarian organizations in a racketeering lawsuit against climate change skeptics that has been widely described as an effort to silence political opponents. In a subpoena issued in March, the office of USVI attorney general Claude Walker demanded from Exxon Mobil copies of communications between the oil company and 90 different political and policy organizations "and any other organizations engaged in research or advocacy concerning Climate Change or policies." The subpoena was part of a national, coordinated legal campaign by state attorneys general and left-wing advocacy groups to use the legal system against companies and organizations that disagree with and advocate against Democratic policies to address global climate change. The existence of the subpoena was first reported by the Wall Street Journal in April. A newly released copy obtained by the Washington Free Beacon reveals the names of the organizations targeted in the effort, which had previously been redacted. Those organizations include some of the nation’s preeminent conservative and libertarian nonprofit groups. The AG is requesting Exxon Mobil communications with the Heritage Foundation, the Cato Institute, the Federalist Society, the Hoover Institution, the Reason Foundation, and the Mercatus Institute, among other groups. One target of the subpoena, the libertarian Competitive Enterprise Institute, has already publicly responded to Walker. Its attorney called a separate subpoena received by the group "a blatant attempt to intimidate and harass an organization for advancing views that you oppose." "Your demand on CEI is offensive, it is un-American, it is unlawful, and it will not stand," wrote Andrew M. Grossman, an attorney with the Washington firm BakerHostetler. "You can either withdraw it or expect to fight." Walker’s efforts will likely meet similar resistance from other organizations targeted by the subpoena, some of which have publicly denounced Walker's efforts in reference to its targeting of CEI. Hans von Spakovsky, a former Federal Election Commissioner and a senior legal fellow at Heritage, called the subpoena "a truly outrageous abuse of [the attorney general’s] authority and a misuse of the law." "This investigation is intended to silence and chill any opposition," von Spakovsky wrote. "It is disgraceful and contemptible behavior by public officials who are willing to exploit their power to achieve ideological ends. Walker’s subpoena is part of a coordinated effort by Democratic attorneys general spearheaded by New York’s Eric Schneiderman and undertaken in consultation and cooperation with leading environmental advocacy groups. The participants huddled at a Jan. 8 meeting at the headquarters of the Rockefeller Family Fund, a left-wing foundation. 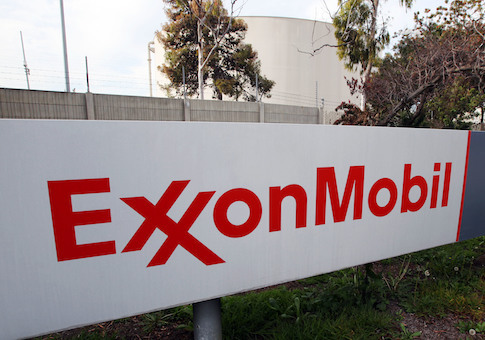 At the meeting, RFF, Greenpeace, other environmental groups discussed ways to "delegitimize [ExxonMobil] as a political actor," "force officials to disassociate themselves from Exxon," and "drive divestment from Exxon," according to a copy of the meeting agenda obtained by the Washington Free Beacon last month. One strategy that activists discussed was to enlist like-minded state attorneys general to use their powers to go after the oil company. Emails subsequently obtained by the Energy and Environment Legal Institute show that staffers at groups involved in the effort then briefed aides to those AGs. They discussed using "climate change litigation" to advance their political goals. Walker expressed an interest in "identifying other potential litigation targets" in one email. Walker’s subpoena is itself of dubious legality, according to some legal experts. "What they’re doing looks like a concerted scheme to restrict the First Amendment free speech rights of people they don’t agree with," itself a potential violation of federal law, wrote University of Tennessee law professor Glenn Reynolds.